The Franchise Tax Board is beginning its annual force filing season. Haven’t heard of force filing season? If you are one of the million plus people that the FTB is currently investigating, you will soon. Force filing season is where a taxing government seeks to file an estimated tax return for you, when the government did not receive a tax return from you. The procedure is a profitable one. Last year the FTB collected more than $715 million through its force filing investigation and assessment efforts. Since we’re now in tax season, the FTB knows that you should be thinking about your taxes. So, this is the time of year that the Franchise Tax Board notifies taxpayers that it didn’t receive a tax return from a particular tax payer and that it believes that a tax return should have been filed. If you live in Stanislaus County, in Modesto particularly, you may need to contact a Modesto tax attorney in short time. Of the 6,696 Stanislaus taxpayers that the FTB is investigating, 3,570 of them live in Modesto. That’s more than half of the Stanislaus taxpayers that will likely need a Modesto tax attorney. The first step in the force filing investigation is for the Franchise Tax Board to identify social security numbers where a tax return was not received by the tax return deadline. The FTB then compares those social security numbers to information provided by banks, employers, local governments, the IRS, and other third parties. If the Franchise Tax Board believes that you were required to file a California tax return, but did not do so, you will receive a tax return demand letter. So if you are one of the 3,570 Modesto residents that recently received one of these tax demand letters, or one of the remaining 3,126 who live elsewhere in Stanislaus County, you have a potential tax debt looming. Our Modesto tax law firm may be able to help you. Speak directly to one of our Modesto tax attorneys by calling us at (209) 248-7157. One month left until tax day; who should prepare your tax return? There’s about one month left to file your 2013 taxes. You may notice that there are lots of places soliciting to prepare your taxes these days. Every time you pass a strip-mall you likely see some type of gimmick, from air dancers, flags, and a person dancing on the corner with a sign. These gimmicks were formally found at a used car lot to attract your attention, but competition can be tough these days. Just like buying a car, you want to make sure you don’t get a lemon when it comes to choosing a tax preparer. These strip mall tax centers are virtually everywhere. Just because they are everywhere, does not necessarily make them better. The quality and expertise of these types of tax preparers rests entirely on who specifically within the pop-up shop prepares your tax return. There really is a spectrum in the quality and experience you may encounter at one of these shops because these companies are often so big and/or individually owned and franchised. On the one hand, you may be trusting your taxes with a seasoned tax preparer who’s a licensed accountant, really knows what they are doing, and will work closely with you to ensure your returns are accurate. On the other hand, you may be risking doom with someone using the franchise’s own do it yourself software, who’s simply answering the Turbo Tax type questions for you. So the key when trusting your returns with these types of tax preparation shops is to consider the complexity of your tax returns and to ask about the experience and qualifications of the specific person who is actually going to prepare your tax return. Tax Deadline Tomorrow! Are You Prepared? There’s a tax deadline tomorrow causing many people to work on their taxes into the wee hours tonight. Even though the federal government is closed, the second tax day is tomorrow, October 15, 2013. This second tax day is the deadline to file your personal federal tax return with the Internal Revenue Service (IRS) if you filed an extension to file your taxes by April 15, 2013, the first tax day. On September 26, 2013, the IRS announced that “many of the more than 12 million taxpayers who requested an automatic six-month extension this year have yet to file.” These are likely the people that are going to be up late tonight enjoying tax returns instead of playoff baseball and Monday night football. 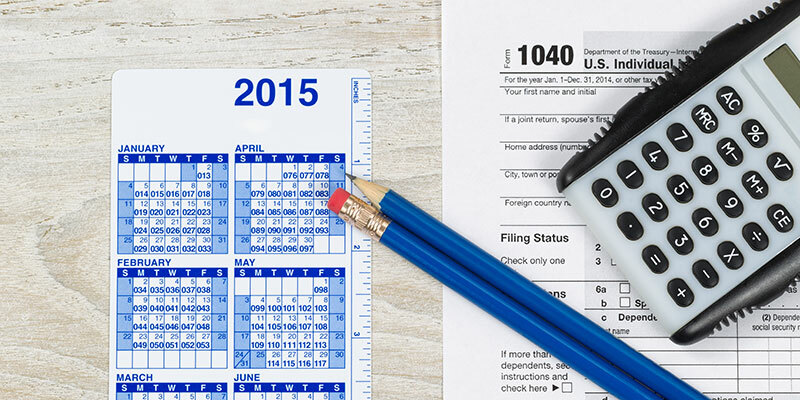 Individuals and their tax preparers alike are guilty of procrastinating until this upcoming second tax day to prepare and file their tax returns. Many people file a tax extension in April once they prepare their tax return and determine that they’re going to owe a tax liability. Others just need additional time to review their finances and prepare their tax returns. In either case, filing a timely tax extension in April only allows taxpayers extra time to get their tax returns filed. However, an extension to file does not extend the time that taxpayers have to pay any tax due on their tax return. This is often overlooked or simply ignored by taxpayers when requesting a tax filing extension. If you filed an extension to file but owe a balance due, you will owe interest on any amount not paid by the April 15 tax filing deadline, plus you may owe penalties. The late payment penalty is generally ½ of 1% of any tax not paid by the original filing deadline of April 15, 2013. It is charged when reasonable cause for non-payment is not established, for each month or part of a month the tax is unpaid maxing out at 25%. Fear of not being able to pay the tax due often causes individuals to not file their tax returns, even if they have an extension to file. They’re often delaying the inevitable. The IRS promotes payment plans to the public to entice the public to file their tax returns even if they cannot immediately pay the entire tax liability. Beware however, as the IRS is a collection machine, their job is to collect the debt owed; assuming of course that they return to work. There are different types of payments plans allowed by law that may better fit your budget than the IRS may share with you, unless you know the rules. The IRS has a hardship program called currently non collectible status for taxpayers that are unable to pay the tax debt owed. Additionally, the IRS has a debt settlement program for tax payers that can prove that it is in the government’s best interest to collect less money than what is owed, this is called an offer in compromise. The point is that there are options available for taxpayers that cannot pay their taxes owed. The first step is to file your tax return, preferably before tomorrow’s second tax day deadline. When do you need to file an amended tax return? This is the time of the “tax year” that little tax issues on your recently filed tax return usually come to light. You thought your taxes were done when you filed your tax return in April. Well, you may have some more work to do. The “little issues” may include the discovery of the misfiled or belatedly received income statement, the discovery of a corrected income statement, or remembering that it was (or wasn’t) your turn to claim a shared dependent. The amended tax return, simplified, is a tool often used in one of two ways; 1) to make changes to a filed tax return for the taxpayer’s benefit, or 2) to make changes to a filed tax return for the government’s benefit. The use of an amended tax return is the tool to use when you notice that you paid too much tax or you were due more money back from the government than you received on your original tax return. The government isn’t likely going to make an adjustment when the unadjusted return is in their favor. Therefore, you’re going to need to push the issue to ensure you don’t pay more taxes than you’re legally obligated to pay. This may include correcting your filing status or the number of dependents to your benefit, or claiming credits you were entitled to claim, but didn’t, on your original tax return. Although more rare, sometimes there are changes in the law that are retroactive and allow you to amend your tax return for a past tax year to take advantage of the change to the law. In the present age of initial computer review of your tax return, calculation or transposition errors are normally caught fairly quickly by the IRS and normally do not require amending your tax return, as you will normally be notified of errors or the need for additional information. If you will receive an additional refund by filing an amended tax return, you should normally wait until you have received the refund due to you as shown on your original tax return before filing your amended tax return. Waiting until the original refund is received may help avoid IRS delays and errors in processing your amended return and the additional refund. Generally, to claim a refund based on an amended tax return, the amended tax return must be filed within three years from the due date of the original tax return or within two years from the date the tax was paid, whichever is later. In cases where amending a tax return will result in a higher tax owed and a tax debt, the taxpayer may drag their feet in filing their amended tax return. This situation may include, for example, the realization that you earned more income than you thought you had at the time you filed your tax return, or you claimed a dependent you were not eligible to claim. The reality is that the IRS, for all their faults, is likely to eventually catch an error that will result in a higher tax owed. The real question most taxpayers in this situation face is whether they can actually pay the increase in tax; and they often opt to wait for the IRS to push the issue. Similar to calculation and transposition errors that benefit the taxpayer, simple calculation and transposition errors that may benefit the government are likely to be discovered in the initial computer processing of your tax return and don’t necessarily require an amendment. It is the more complex or intentional errors that warrant use of the amended tax return to minimize civil and criminal exposure for disclosures made on your original tax return. The use of the amended tax return will minimize the monetary penalties and interest assessed if amended before the IRS corrects the return for you. Like any tax issue, a proactive and organized approach will save you money over time. Over the weekend, the Internal Revenue Service (IRS) finally completed reprogramming and testing its systems for tax-year 2012. This includes the lingering updates mandated by the American Taxpayer Relief Act (ATRA) enacted by Congress back in January. This final update finally allows all taxpayers to prepare their tax returns. The final updates apply to taxpayers claiming residential energy credits on IRS Form 5695 and taxpayers claiming various business tax credits and deductions on their federal tax returns. The IRS began accepting tax year 2012 returns in phases as it worked over the past several months to update various forms and make adjustments to processing systems to apply the current tax laws. Finally, with just six weeks to go before this year’s April 15, 2013 deadline, all IRS tax returns can now be filed. And, if you quickly find out that you’re in tax trouble, now that you can actually file your tax return, the tax relief attorneys at Montgomery & Wetenkamp will be able to resolve your IRS tax debt problems, call us toll free at (800) 454-7043. The Earned Income Tax Credit (EITC) is a refundable tax credit you may be able to take advantage of this tax season to get the tax relief you need. Since the EITC is refundable, this means taxpayers may get money back, even if they have no tax withheld. However, to get the credit, taxpayers need to file a tax return and specifically claim the EITC, even if they don’t have a filing requirement. Recent changes to the EITC make the credit available to more taxpayers than in years past. Eligibility for the EITC varies based on income and family size. Households with three or more qualifying children will receive a 2012 tax credit of $5,891 if their Adjusted Gross Income (AGI) is less than $45,060 when filing individually or $50,270 when married filing jointly. The equivalent credit for tax year 2011 was $5,751 for individuals with an annual AGI less than $43,998 or $49,078 when married filing jointly. On the other end of the EITC spectrum, for tax year 2012, households with no qualifying children will receive a $475 tax credit if their AGI is less than $13,980 when filing individually or $19,190 when filing married filing jointly. Similar middle tier credit adjustments are available for taxpayers claiming one or two qualifying children. Filing as single or head of household when actually married. Missing or incorrect Social Security numbers for self, spouse or qualifying children. While claiming the EITC will get you immediate tax relief, avoiding these common tax errors will give you stress relief. So, what is the official start date of the 2013 tax filing season? In other words, what is the first day that the IRS will begin accepting 2012 tax returns? This is still an open question. Without congressional action, the IRS had said that they would not be able to accept a majority of tax returns until March. But Congress has acted and now it is just up to the IRS to make a decision about the “start date.” Once the IRS has finished reviewing the new legislation, they will announce the official start date of the 2013 tax season. The IRS will also have information about paycheck withholding based on the new tax rates. Until then, there are typically plenty of things to do in preparation for filing your tax return, especially for the self employed. Now is the time to organize your records and identify a qualified tax preparer. If you anticipate tax problems this year — if you are going to owe the IRS more than you can pay — then it will also behoove you to identify an experienced tax attorney who can represent your interests before the IRS. California attorney Kevin Mirecki has been sentenced to six months in federal prison after pleading guilty to three counts of failing to file his tax returns and will not obtain tax relief. Mirecki was also ordered to pay more than $225,000 in restitution and fines. Mirecki entered his guilty plea in 2009 and admitted he failed to report more than $1.3 million in income over a three-year period. Mirecki also founded Genesis Fund Ltd., which investigators say was a foreign-currency Ponzi scheme that bilked at least $80 million from hundreds of investors. Eight people pleaded guilty and another was convicted at trial in connection with the scam. According to the indictment related to Genesis Fund Ltd., the defendants falsely claimed that investors received monthly returns of four percent, when investments were actually used to make “profit” distributions to defendants and early investors. The defendants promoted the Genesis Fund as having no reporting obligations to the IRS. Bank accounts in the names of trusts and offshore bank accounts were allegedly used to receive distributions from the Genesis Fund that were not reported to the IRS. Some of the defendants allegedly created “disclosed” and “undisclosed” Genesis Fund accounts for themselves and certain fund investors in order to conceal from the IRS all but a small portion of the fund’s distributions. In addition, some Genesis Fund investors were allegedly advised to create nominee offshore corporations and bank accounts to receive distributions from the fund. The indictment further alleged that to obscure the operations of the fund and to limit scrutiny of its operations by investors and the government, the defendants caused the Genesis Fund to maintain no financial statements or other statements of operation. Additionally, in or about April 2000, to conceal the true nature of its operations from investors and the government, Genesis Fund’s administrative operations were relocated from Anaheim, Calif., to Costa Rica. At about the same time, paper records were moved to Costa Rica and electronic data on computers was destroyed.